This Japanese White Pine was purchased from a nursery that has a particular aesthetic that resonates with the Saruyama ethos. It is famous for elegant, refined and understated trees and this was immediately purchased when it was found, despite being a difficult tree to style traditionally as the top section had developed two equally strong branches that were competing to be the apex. 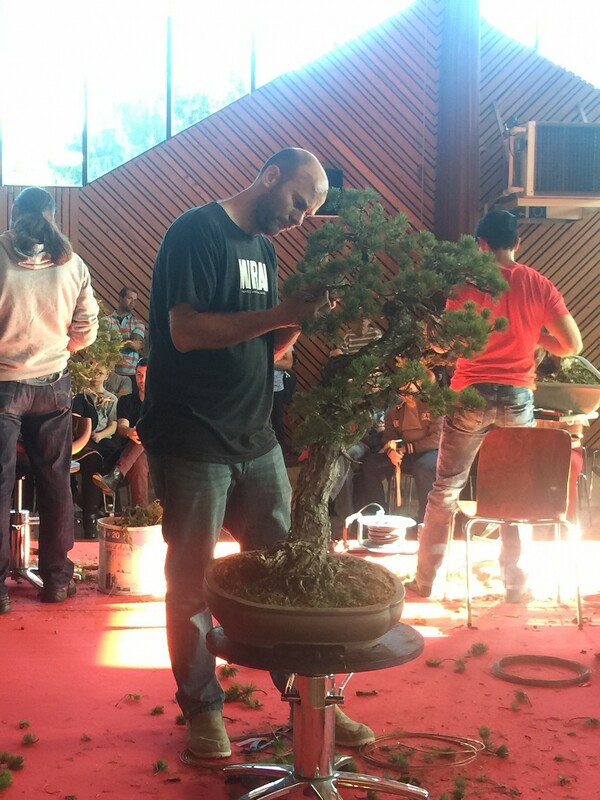 After allowing the tree to get over the importation process, and offering it unsuccessfully to a few clients, I decided to style the tree at the Bonsai San exhibition held in Saulieu, France where I had been invited to demonstrate. It is an excellent exhibition which we are suppoorters of, and as such it is a source of great pride to have been asked to attend. 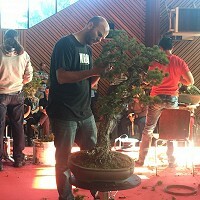 Working on your own material at a demonstration allows you to plan ahead, figure out exactly what to do and where to take the tree. Having lived with the tree and looked at it day after day, it seemed a shame to cut off one of the major sections and make a standard literati style tree. A slight angle change and a little manipulation of the top apex to elongate and define the two proved enough to create a separation that will ultimately merge together. 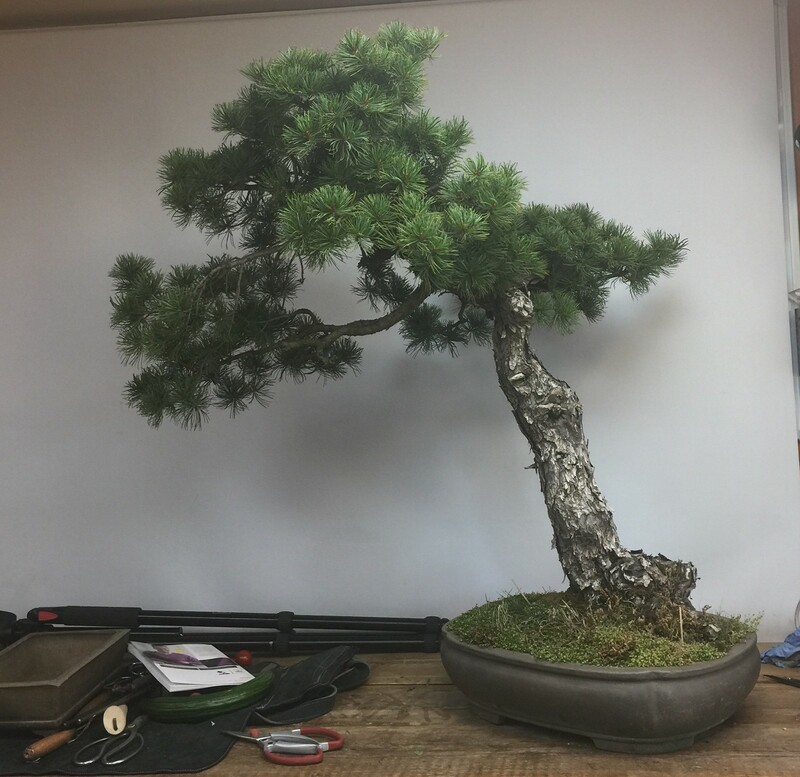 The back branch, which is tight to the trunk was manipulated quite hard but did not show any signs of damage. 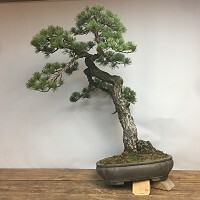 This is a tree styled in a way which some may find unconventional, yet harks back to bonsai practice as it was done over a hundred years ago.